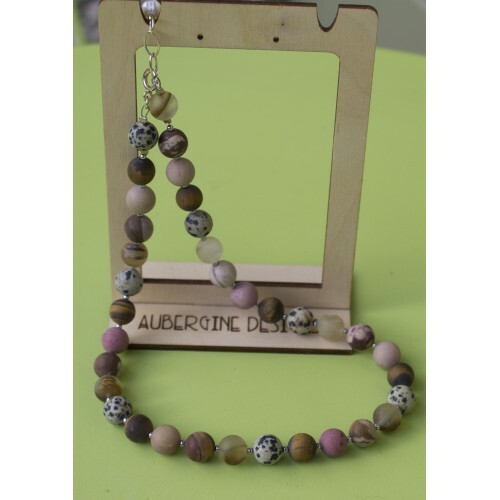 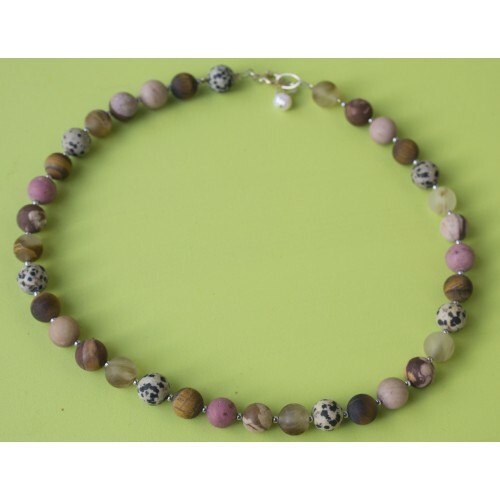 Stylish and unusual necklace, comprising matte large gemstones - jasper, quartz, pink rhodonite and tiger eye . 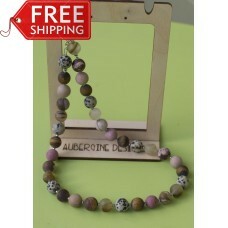 Finished off with a Sterling Silver clasp and short extender. 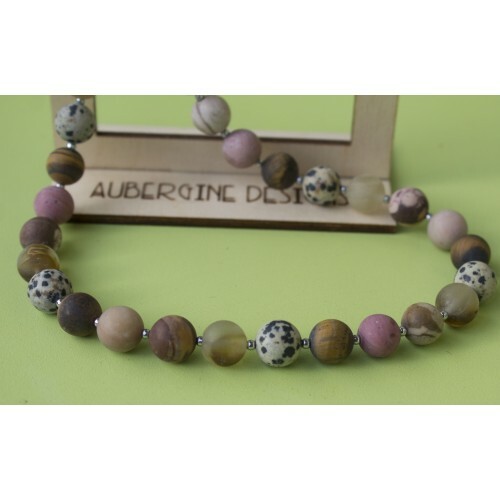 Tags: matte, jasper, quartz, pink, rhodonite, tiger, eye, necklace, -sterling, silver, necklaces sold!